﻿Here at Cosy Craft Club, we focus on a different craft each month, with lots of resources and inspiration to get you started if you want to have a go for yourself. 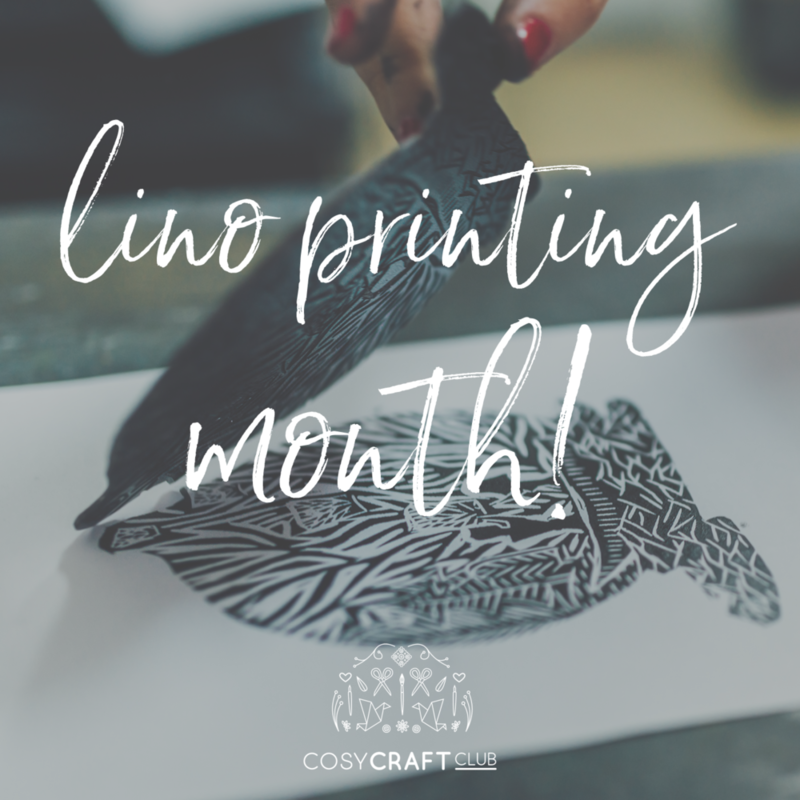 And this month it's lino printing! Lino printing is a form of print making. You start with a piece of linoleum, and carve shapes into the flat surface where you don't want to print. When your carving (lino cutting) is complete, apply a thin layer of ink to the surface with a roller, and press it onto a piece of paper or fabric - this is the 'printing' part of the process. Peel back the paper, and you have your finished print! Lino printing is a very versatile art form. It can be used to create anything from incredibly detailed pictures to simple patterns. You don’t have to be arty to enjoy lino cutting. You could try cutting simple shapes and lines to make patterns, or cut outlines into the block for a ‘negative’ style print. For inspiration see our Lino Printing Pinterest board. If you’re interested in learning more about lino printing, included how to get started yourself, please keep checking back to this blog. We’ll be adding plenty of resources this month to get you on your way! You’ll be able to find all our weaving posts in one place on our dedicated lino printing page. For further lino printing inspiration, take a look at our Instagram feed and Facebook page. And if you have any questions, please leave a comment below or send me an email at hello@cosycraft.club. We’d love to help if we can!